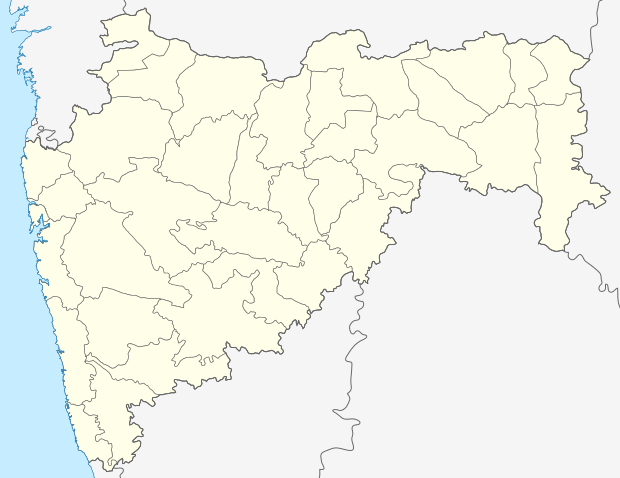 Paithan (Paiṭhaṇ) pronunciation , formerly Pratiṣṭhāna, is a city and a municipal council in Aurangabad district, Maharashtra, India. It was the capital of the Satavahana dynasty, which ruled from the second century BCE to the second century CE. It is one of the few inland towns mentioned in the famous first-century Greek book, the Periplus of the Erythraean Sea. Paithan is located 56 kilometres (35 mi) south of present-day Aurangabad on the Godavari River. Mungi Village, Paithan was the birthplace of Nimbarka, the founder of the Nimbarka Sampradaya tradition of Vaishnavism. Paithan was also the home of the great Marathi saint Eknath; people flock yearly to his shirne during the time of the Paithan yatra, also known as the Nath Shashti. Paithan is also a famous Digambar Jain atishay kshetra. 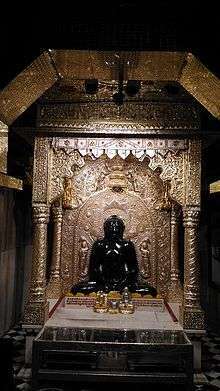 A beautiful Black coloured Sand Idol of 20th Jain Tirthankar, Bhagwan Munisuvratnath is installed in temple here. Paithan is mostly famous today for its saris — the Paithani beautiful silk saris that sport intricately embroidered gold or silver borders. The city is home to many noted personalities like Shankarrao Chavan, Yogiraj maharaj Gosavi, Balasaheb Patil. Dnyaneshwar Udyanat Paithan is developed on the lines of Brindavan Gardens, Mysore. Pratishthana (Sanskrit: प्रतिष्ठान, lit. standing firmly) was capital of First Satavahana king from where it grew into Empire covering almost half of present India.The Satavahana known as "Trisamudratoyapitvahana". Later, under the name Pishtapura (Sanskrit: पिष्टपुर, lit. flour city), it was taken by the Chalukya ruler Pulakesin II who commissioned the recording of the event in a poem as "reducing Pishtapuram to flour". Pratishthanapura or present day Paithan is said to be the capital of Mulaka desh. 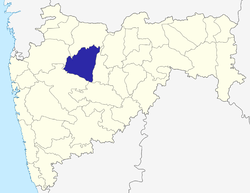 Aurangabad, Nashik, Jalna, Washim are parts of Mulaka. Mulukanadu follows the usual conjoint formulation of similar communities: the word Naadu means country in all the south Indian languages; this is suffixed to the country whence the community hails, being in this case "Muluka". Thus, Muluka+Naadu=Mulukanadu, "people of the Muluka land." Muluka or Mulaka is identified and it is also known as Moolaka or Moolaka desha along with Ashmaka. As per legends Pratishthana was built by King Ila. Ila, who was the king of Bahlika, strayed into Shiva's forest during his hunting trip and was cursed to become a woman by Shiva. By praying Shiva's consort Parvati, Il a managed to stay as man and woman alternatively every month. He would not remember events of one stage in the other. When he was a woman, he married Budha (Mercury, one of the nine planets the 'Navagrahas') through whom he had a son (Pururavas). Budha helped Ila to attain his former self by pleasing Shiva through 'Ashwamedha Yagna' (Horse sacrifice). After leaving Budha, Ila left Bahlika and established the city Pratishthana from where he ruled for long. After him, Pururavas became the king of Pratishthana. (Source: Valmiki Ramayana, Uttara Khanda, Sarga 90). In ancient times it was called Pratishthanpura and it has seen many ups and downs in its long and chequered history. Because of its long and continued existence it was the seat of a number of dynasties and dynastic rules. It was credited to be the capital of the ancient Janpadas like Asmaka. Thus, Paithan gained the epithet as "Supratisthana" (Sanskrit: सुप्रतिष्ठान, lit. standing very firmly) not only for its political importance as the capital city during the long rule of the Satavahanas and of great consequence till the Yadavas, but also for its affluence and of highly advanced civilization. Its importance has also been vouchsafed in the writings of the foreign travelers and geographers. As a great commercial centre, it was very well linked with the other important towns of ancient India and the western world. Its exports had earned great reputation in the western markets and had achieved international renown. Its quality textiles such as the Paithani had no parallel in the contemporary world. The Roman parliament was rather forced to put a ban on such types of luxurious imports to save the nation form extravagance. So its contributions in the field of trade and commerce are equally noteworthy and as important as in the fields of politics and religion. Archaeologically, Paithan’s importance need not be over-emphasised. The environs of Paithan have given evidence of pre-historic and proto-historic antiquities. Whereas, in the historical period archaeological data from the Satavahans to the Yadavas has been recorded. Even now a number of antiquities of different periods are abundantly available on the surface of the mounds at Paithan. Thus we come across an amazing variety of beads, terracotta. Bangles and coins of the Satavahana period. Some of the punch-marked coins predate the Satavahans and the foreign coins confirm its close contacts with the western world. Paithan, with its varied and variegated politico-economic and religio-social activities greatly contributed to the growth of a highly enriched cultural milieu and perhaps no other city in Maharashtra could possibly compare itself favorably with Paithan. Apart from the thriving of the three major religious sects such as Buddhism, Jainism and Vedic religion at Paithan ever since it became the capital city of the Satavahanas, all the religious movements during the medieval period have centered round this historic city. Paithan the ancient city of Pratishthan, is beautifully situated on the left bank of the river Godavari. Since the second millennium B.C. The dawn of the Goda Valley Civilisation it has played a vital role in shaping the culture of the region and has been a sacred place for the Hindus, the Buddhists and the Jains. From ancient times Paithan was important emporium of trade and commerce with links connecting it to marts in India and in Europe. It developed its own religion and educational institutions and in the field of art, drew the attention of the Muslim invaders, who overran the city and whose culture left its imprint upon the life and manners of the people of Paithan. During the seventeenth century, the Marathas, recognizing the value of Paithan as a centre of religious and economic importance, strove hard to keep it under control. They felt a special affinity towards this ancient city and many Maratha rulers made it a point to stop at Paithan while on their way to other places. In 1679, for instance, Chhartrapati Shivaji halted at Paithan while proceeding to Jalna . During his stay he issued acharter appointing Kawale – a leading priest of Paithan – as a royal priest. This arrangement made by Shivaji for a local priest to perform the family rituals is understandable in view of the fact that Paithan was regarded as moksha-tirtha – a pilgrimage centre from where the soul could be liberated forever from a shackled existence. Shivajis son and successors honored this charter for a long time. The Peshwas, the administrators of the Maratha rulers, also kept close connections with Paithan city. Peshwa Balaji Bajirao in 1761, married into the Wakhare family – moneylender of Paithan and his successors . Peshwas Madhavrao and Narayanrao, maintained the close association. Peshwa Madhavrao, judging from his letters, was particularly impressed by the textiles of Paithan. Paithan is a Digambar Jain Atishay kshetra (Pilgrimage place of miracle). Paithan has a Chaturth Kalin (thousands of years old). This temple is dedicated to 20th tirthanakar Munisuvrata. The moolnayak of this temple is a sand idol of Bhagwan Munisuvrat Nath. The idol is of the time period when stone idols were not generally made, and one can estimate its antiquity. It is believed that Ram, Lakshman and Sita used to worship this idol. This idol is considered very miraculous. Shri Santaji Jagnade (1624–1688) was one of fourteen cymbal players employed by Shri Tukaram Maharaja, a prominent Marathi Saint. Jagnade recorded several of Tukaram's Abhangs. He belonged to the Teli caste of oil producers and is the only Saint from that caste. Jagnade was born and brought up in Sadumbare in the Maval tehsil in the Pune District. He was a Varkari, a vaishnav devotee of Lord Vitthala, who is supreme Lord Krishna Himself appearing as the King of Dwaraka. The address of his temple in Paithan is santaji chawk teli dharmshala Paithan. The founders of this temple are Mr. Pralhadseth Sidlambe ,Mr. Kedarnath Dadarao Sarje . A major dam named the "Jayakwadi Dam" is located near Paithan, and is known for attracting a wide variety of resident and migratory birds. This is the world's first dam made from soil. It has 27 gates. On 9 August 2006, Paithan experienced its worst flood in known history when the dam floodgates were opened because of heavy rainfall in the region. Photography at this dam is banned and driving your vehicle up to the dam is not permitted. Thus the religious saints and philosophers enthralled the masses through their works written in simple Marathi style and popularized the bhakti cult in the wake of Islamic expansion. Therefore, Paithan eminently deserves the appellation as "Santpura". Paithan continued to play a pre-eminent role even during the Muslim period when the Sufi saints dominated the realm of religious activities. Paithan is located at 19°29′N 75°23′E﻿ / ﻿19.48°N 75.38°E﻿ / 19.48; 75.38. It has an average elevation of 458 m (1,503 ft). 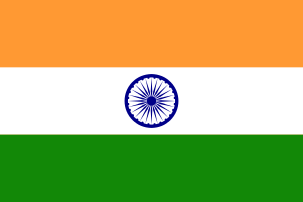 As of 2001 India census, Paithan had a population of 34,556. Males constitute 51% of the population and females 49%. Paithan has an average literacy rate of 67%, higher than the national average of 59.5%: male literacy is 75%, and female literacy is 60%. In Paithan, 14% of the population is under 6 years of age. Bidkin is a large village in Paithan Taluka having a population of 14941 according to 2001 census.